Yesterday the Nebraska Cornhuskers (Big 12 North Champions) and the Oklahoma Sooners (champions of the Big 12 South) fought for the conference championship in Kansas City, Missouri. To dreams of Sean Meade and others came true, as the Sooners bested the Cornhuskers 21-7. The SOONER you can update this the better. After tonight’s game rest easy world: The New Order has been preserved. The game was fun. 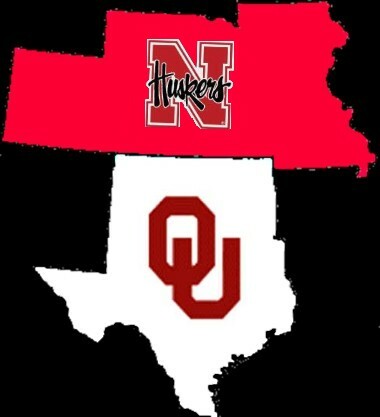 Oklahoma is the ancient rival of Nebraska, though we’ve been separated ever since the Big Eight moved on to the bigger and better Big 12. Since that time, Nebraska has been stuck with hick schools like Colorado and Kansas State as “rivals.” It’s nice to have such a big game against such a great school — and such an ancient foe. A similar dynamic is occurring in my home state of South Dakota, where the South Dakota State Jackrabbits tried to become “big-time” by moving up to Great West Football Conference — leaving the ancestral North Central Conference to the wolves… or to the South Dakota Coyotes as the case may be. However, there too the old becomes new, as USD will be joining SDSU in NCAA Division I. Traditions and football, like beer and pretzels, go together.